Good Feng Shui is all about an optimal flow of energy throughout the space. Start by decluttering and organizing your belongings as much as possible. 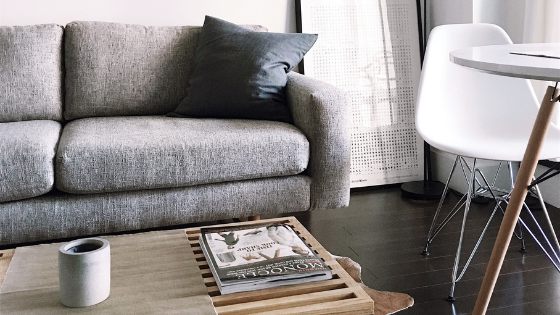 Be selective about the furniture and design elements you select to include in your apartment; less is more. The Eastern area of your apartment is associated with health and vitality. Keep a plant or two in this area to energize it and promote the flow of positive “qi” (chi), or life-force energy. Decorative driftwood, seashells, or other items from the natural world can also enhance this area. The Northeast corner of your West Miami apartment is associated with wealth and abundance. Keep something of value here, such as jewelry, a piece of artwork or other symbols of abundance. The North side of your apartment is connected with career fulfillment and success. Focus on this area by placing items that you associate with doing well in your career. A scarf or sculpture in the colors red, gold, or purple can also help to stimulate the financial areas of your life. The relationships corner of your living space is located in the Southwest. Place a blooming plant, crystal, coral, seashells or other intriguing items from the natural world here to promote successful personal and business relationships. These easy Feng Shui tips can greatly enhance the vibe and flow of any living space. However, if you call West Miami apartments District West Gables home, you’re already living in a relaxing oasis. If you’re not living here at District West Gables yet, we’d love to make you our new neighbor. Enjoy a resort-style community with open living spaces, private balconies and gourmet kitchens. You’ll also have access to opulent swimming pools, catering kitchens, cushy resident lounges, and state-of-the-art fitness studios. Call us today for availability information about our West Miami apartments.